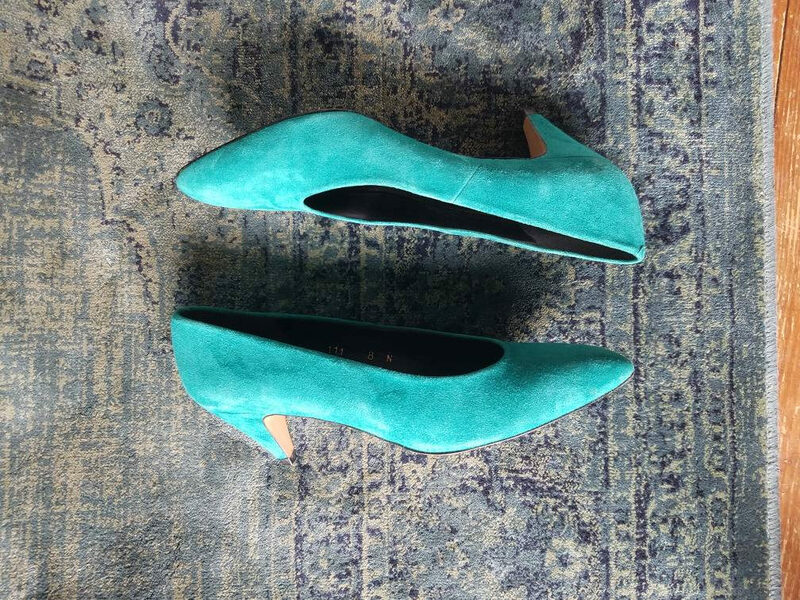 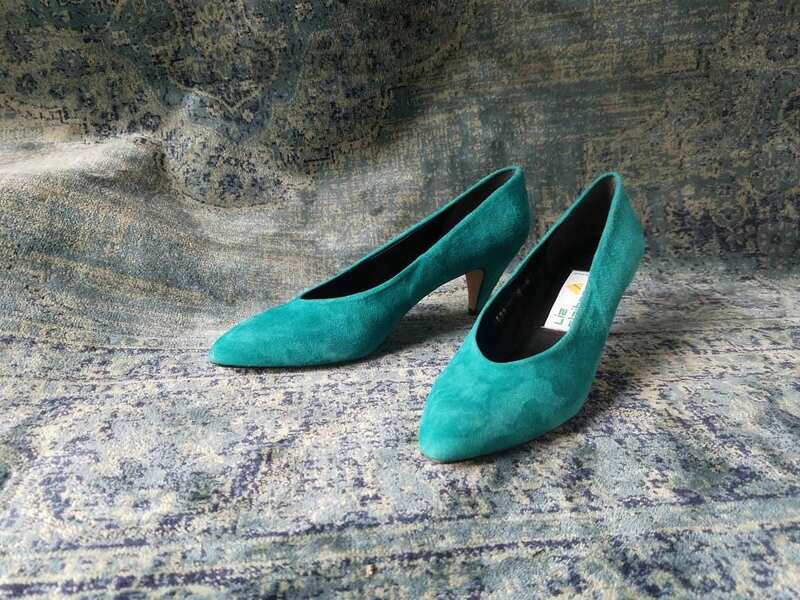 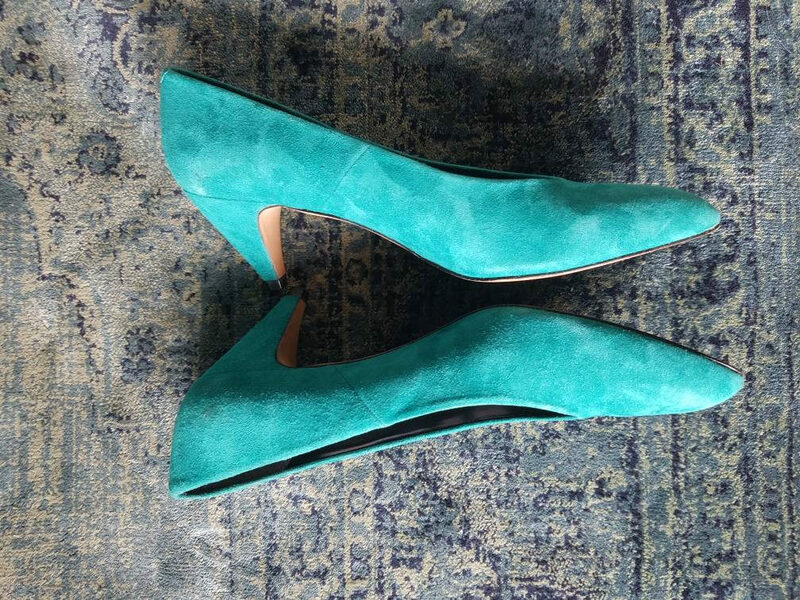 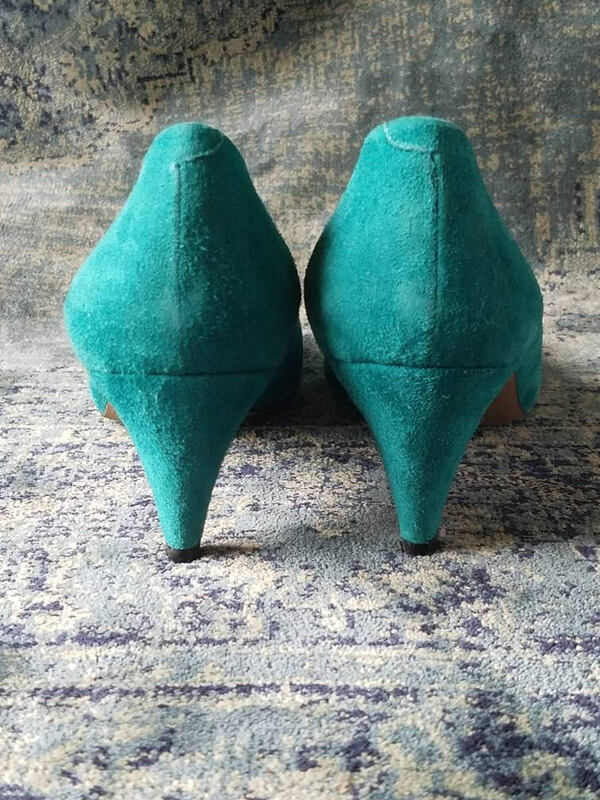 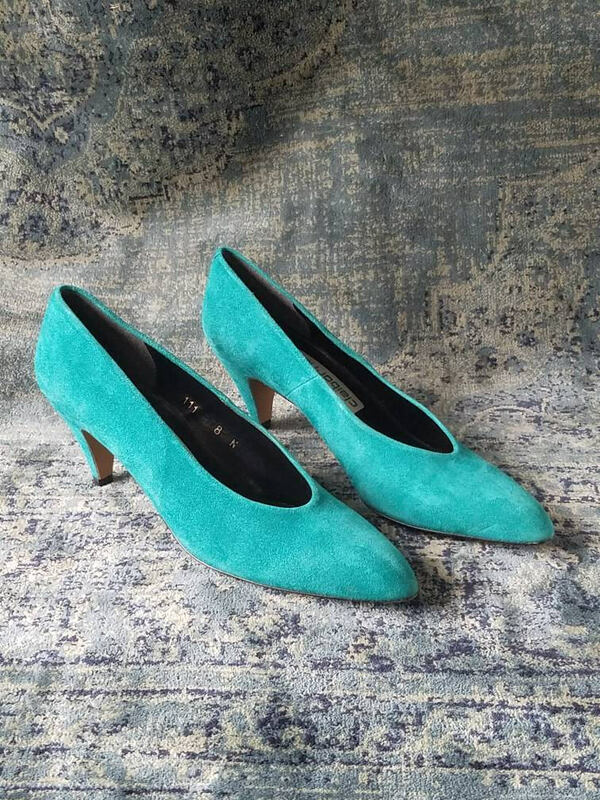 These vintage teal pump with give you the bold pop of color you're looking for. 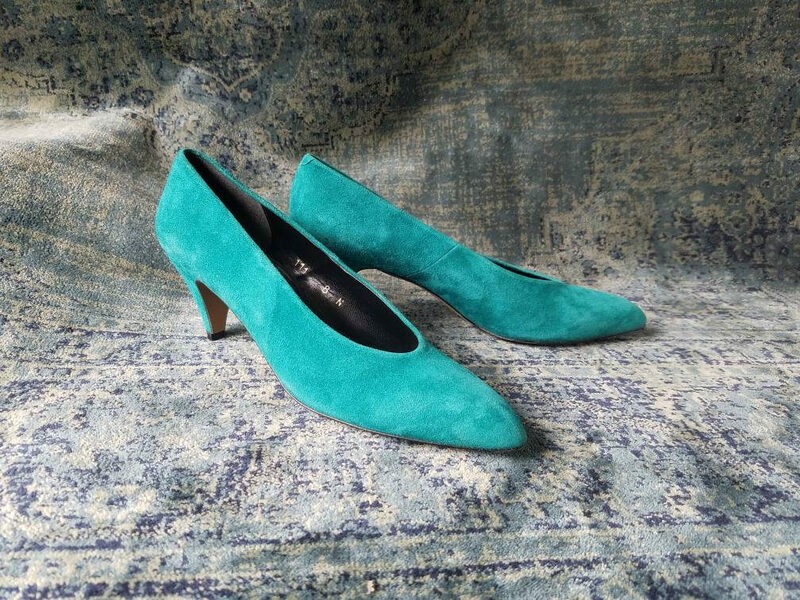 Crafted in Spain during the 80s, these suede heels are perfect for partying or bold styles. 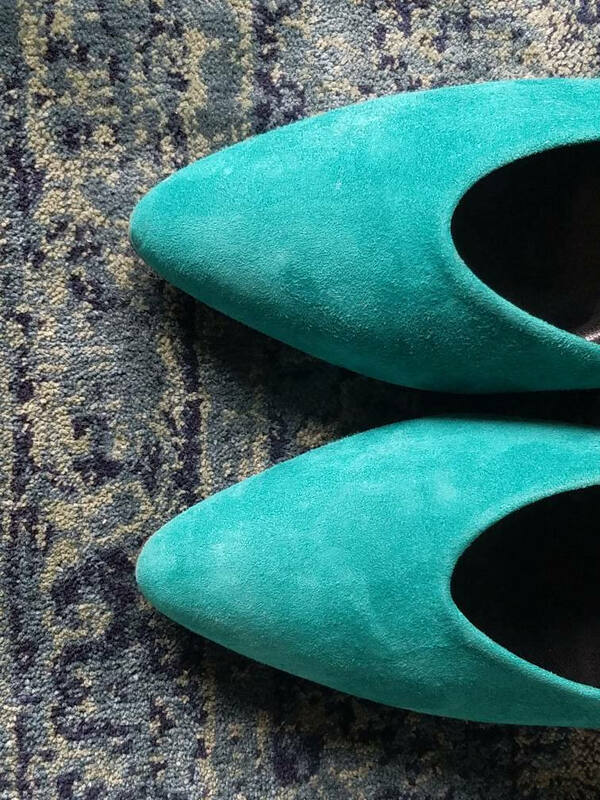 These shoes are bright, but their color may be dulled by your screen or phone's settings. 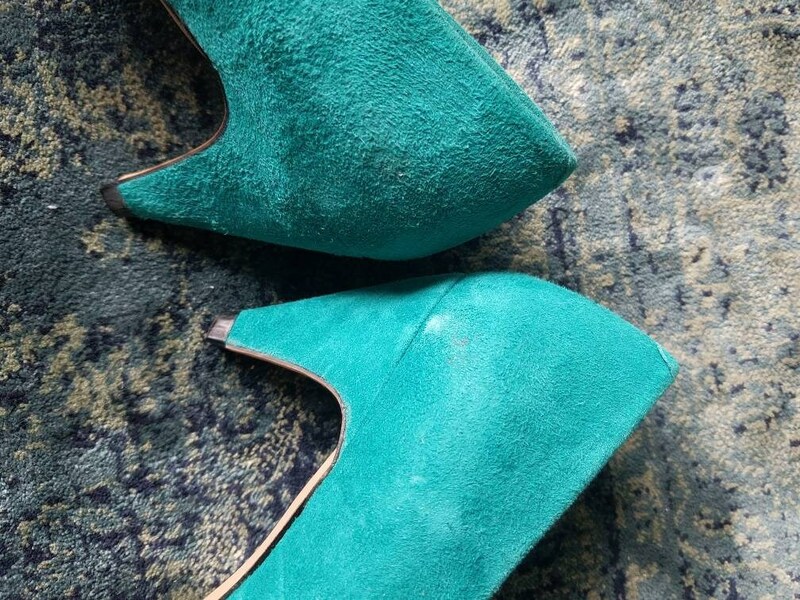 Condition: Excellent! 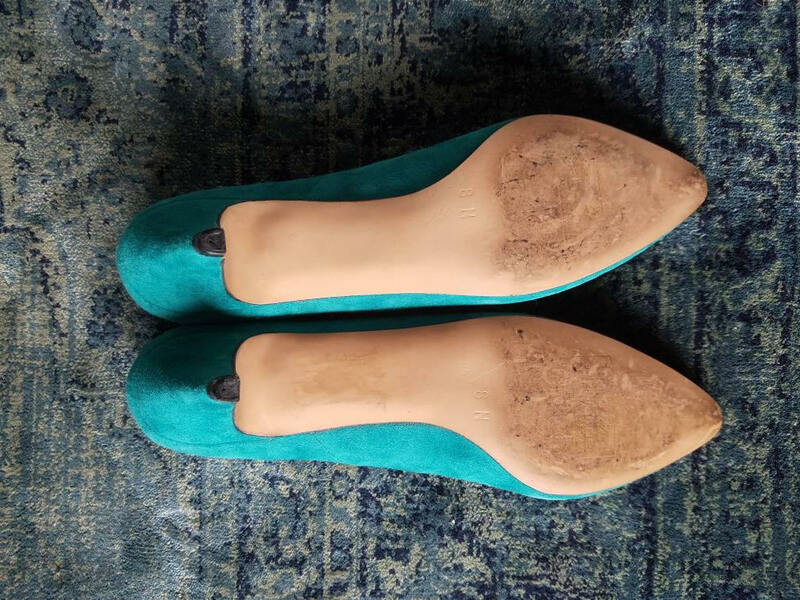 Very minimal wear, one or two spots near the heel, no major damages. 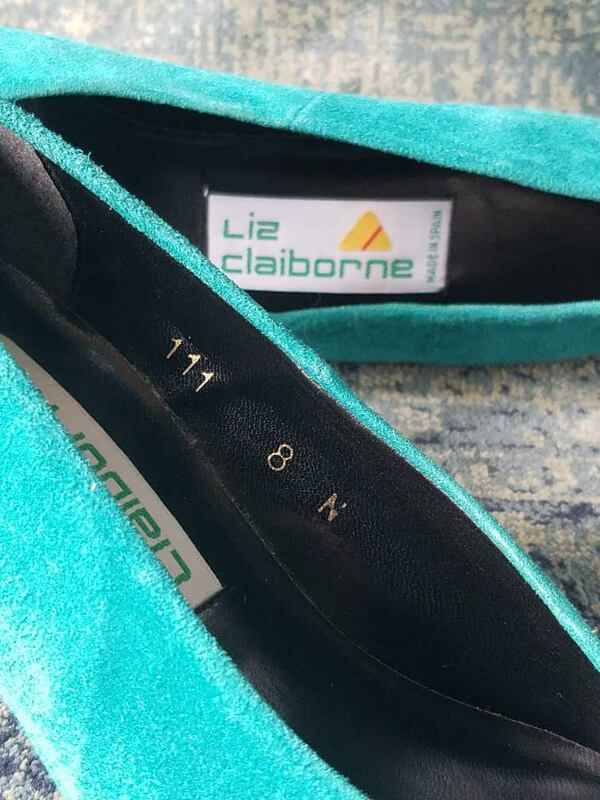 Please use zoom and feel free to send any concerns!